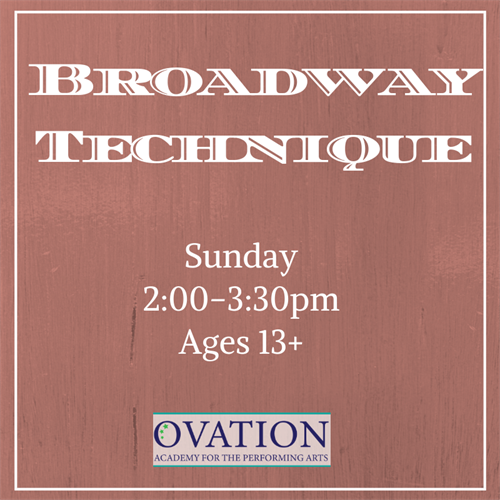 Broadway Technique - Mar 24, 2019 - Oak Park-River Forest Chamber of Commerce, IL ? This musical theater scene and song study allows students to dive into the world of acting through classic Broadway plays and musicals. Learn to master the tricky transition from scene-to-song and explore a variety of acting styles through timeless Broadway musicals. Studying shows from 1930?s - present will cultivate a deeper appreciation for the history of theater! Sunday, 2:00-3:30 pm starting 1/27 - 5/12. See website for additional details.